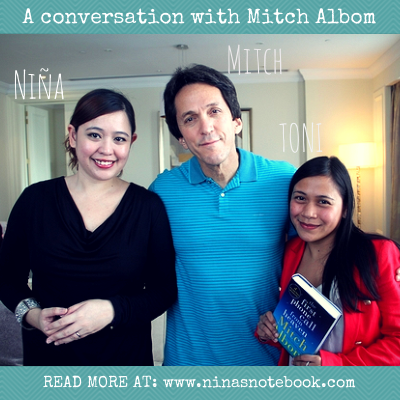 Perhaps my best assignment ever as a writer has been getting to meet and chat with one of the world’s most beloved authors, Mitch Albom. 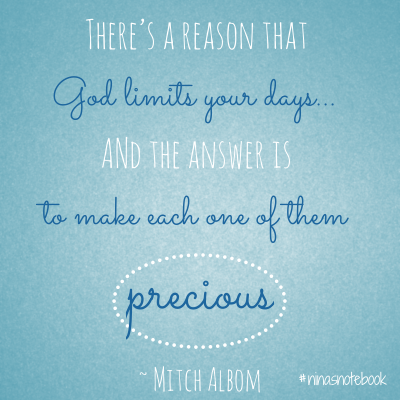 Unknown to many, Albom was a musician and an award-winning sports journalist before he captured hearts and minds all over the world with the #1 New York Times bestseller, Tuesdays with Morrie. 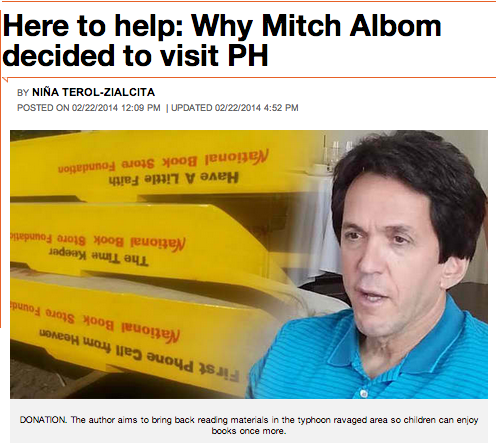 After having published his latest novel, The First Phone Call from Heaven, Albom took the opportunity to visit the Philippines not only to promote his book, but also–and more importantly–to help rebuild libraries in the towns most heavily hit by supertyphoon Haiyan (local name: Yolanda). 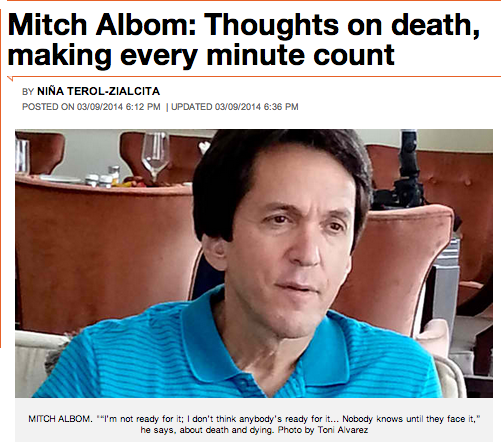 For this series of articles on Rappler.com, Mr. Albom and I talked about his library-rebuilding and charity efforts; his thoughts on success, fame; and happiness; and his candid thoughts on death, hope, and making every minute count in this life. 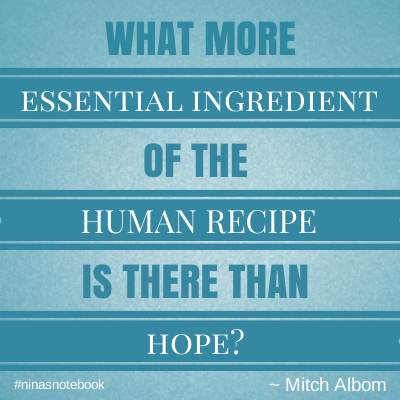 In just one day, he got pledges from “a good 10 to 12” authors, including Stephen King (The Shining), Amy Tan (The Joy Luck Club), Scott Turow (Presumed Innocent), James McBride (The Good Lord Bird), and Ridley Pearson (The Kingdom Keepers series). P.S. 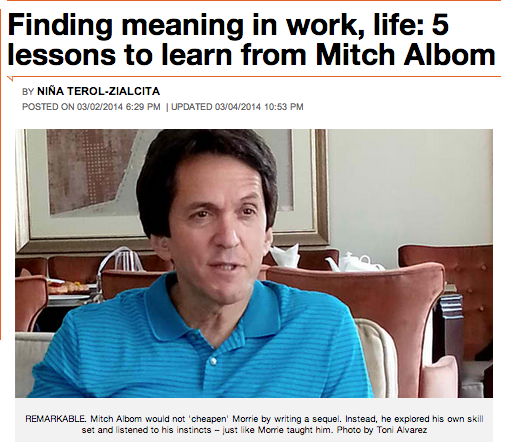 To learn more about Mitch Albom’s charity work in the Philippines, read his latest website post, or visit A Hole in the Roof Foundation.